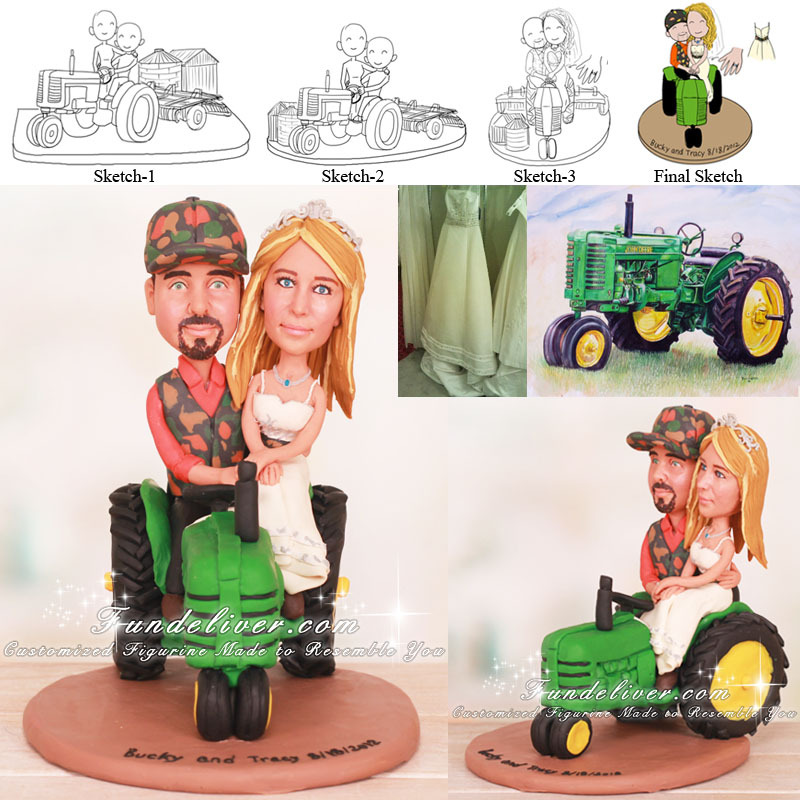 This is a completely customized farm wedding cake topper with tractor ordered by one of our customers. They are choosing a hunting idea mixed with their farm and John Deere tractors. They are getting married at their little campsite on their farm that is next to the river. They will be making their own alter and using haybails to sit on for their seating. The bride’s brother will be taking her up from the house with a John Deere gator and then her father walking her the rest of the way. Their colors are camo, purple and hunter orange. Her hair is past shoulder, wavy, blonde with brown highlights and is down with tiara and veil. 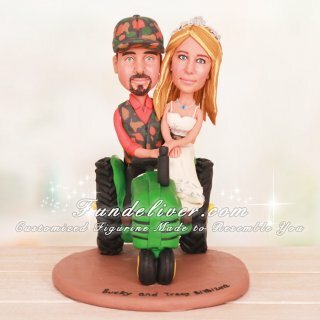 They would like their figurines to be sitting on their old John Deere tractor (no cab) with the bride on the groom’s lap. Also they would like the bride to be in her ivory dress with camo on and the groom to be in a camo vest and hat.